Callout Extensions highlight a website's products or deals with an extra snippet of code. 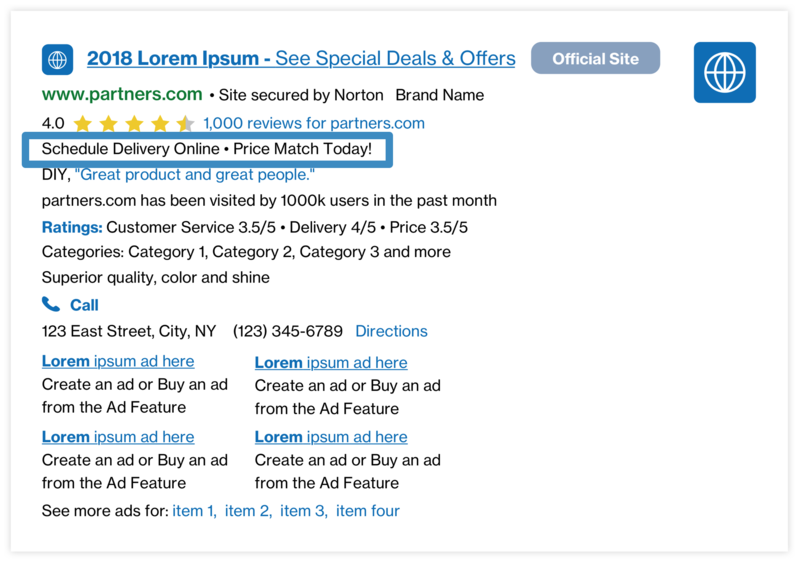 Advertisers can enable 2-4 callouts per line, and the text cannot repeat what is already included in the ad. A list of phrases will be sent that Partners need to concatenate with a space - ● - space, like in the example. Results: Some Partners have seen an estimated lift of +1.7% CTR and +2.1% RPM when combined with Review Extensions and 4th Line Annotations. Results may vary.